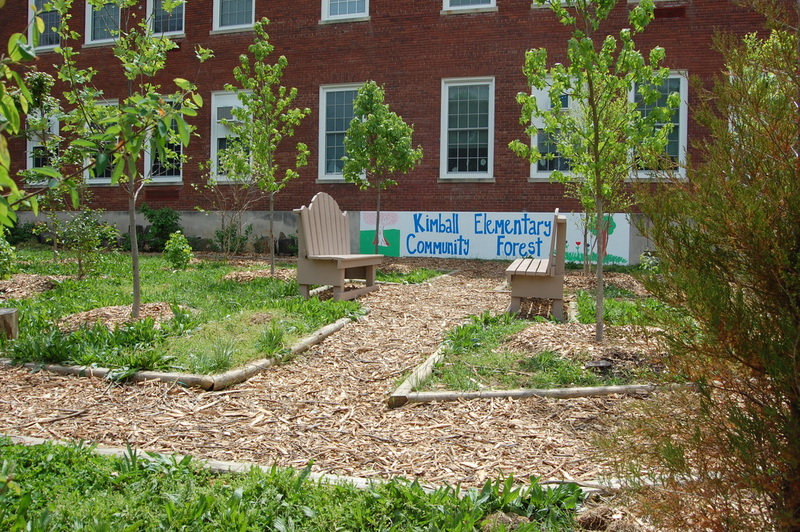 A 9500-square foot turf grass field adjacent to Kimball Elementary School in Washington, DC, was serving no environmental, educational, recreational, or community purpose. 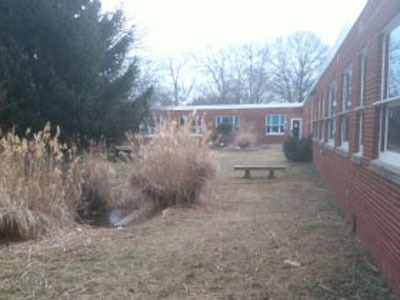 Through partnerships with the school and local community organizations, Lands and Waters is in the process of converting this unused space into an outdoor classroom, wildlife habitat, and community park. 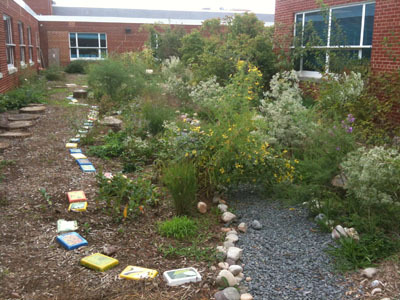 Project components include creating a mulched path that meanders through the area and connects the front and back of the school grounds, benches to accommodate a class of students, native plant communities representative of an upland forest, and educational signs explaining the importance of forest habitats and "living classrooms." 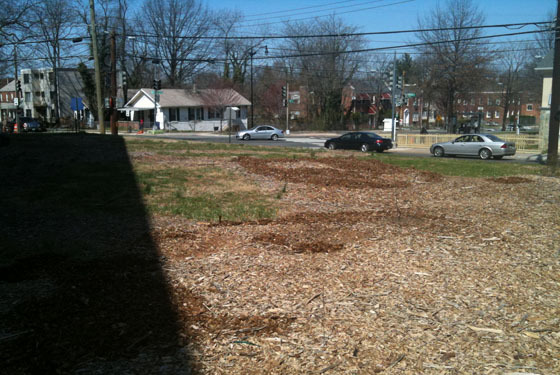 The turf grass field before work began on the community forest garden. 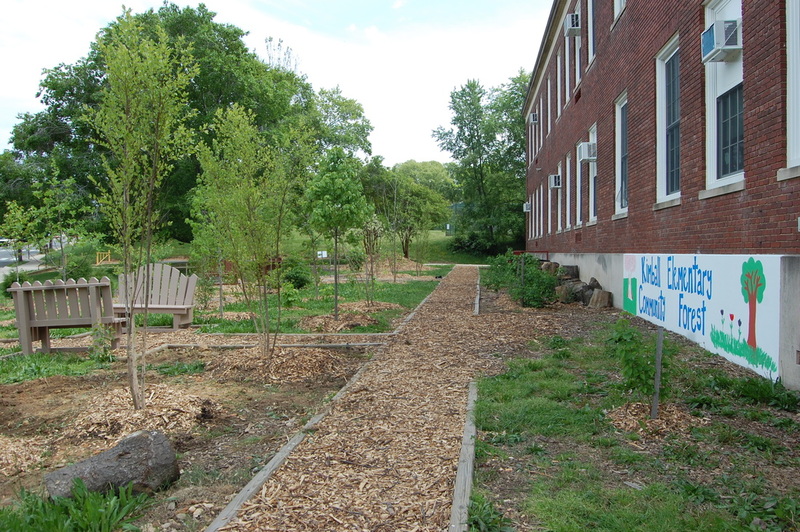 Mulched paths are installed and the first of several tree plantings are finished. Several benches are available within the garden courtesy of a carpenter in the community. Busy city streets are visible (and audible) from the field before any work has begun. Streets begin to be hidden after just the first phase of planting. 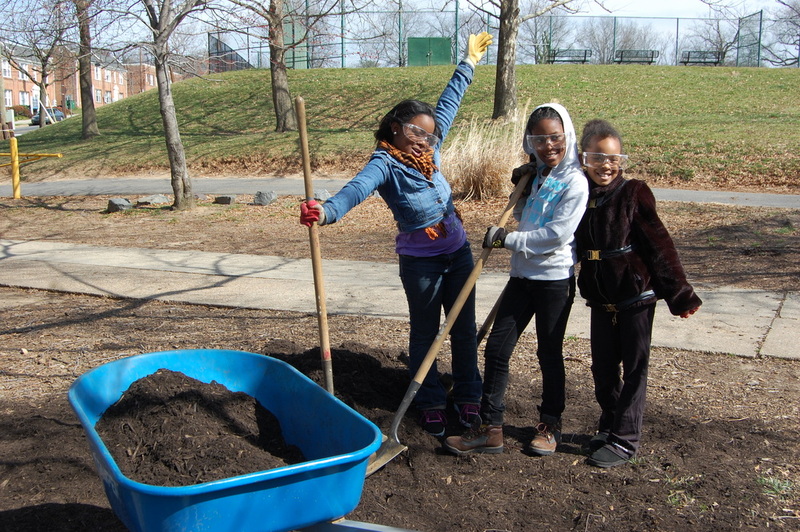 Excited students helped with all aspects of the project, braving the cold of early spring days to mulch paths and plant trees. 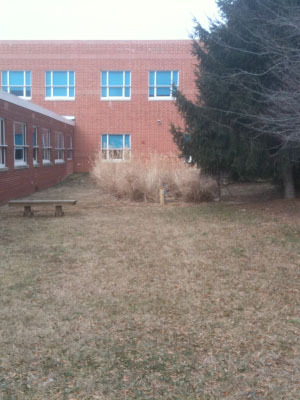 An enclosed courtyard at Lanier Middle School in Fairfax, VA, was dominated by turf grass and mostly unused by students and staff. 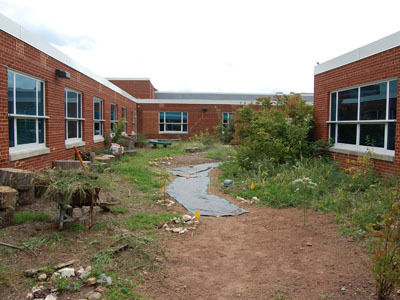 In partnership with the school and the county, Lands and Waters is creating a series of ecosystems that include a bog, a vernal pool (created from a pond already in the courtyard), a riparian area, a meadow, and plantings representative of upland woodland forest. 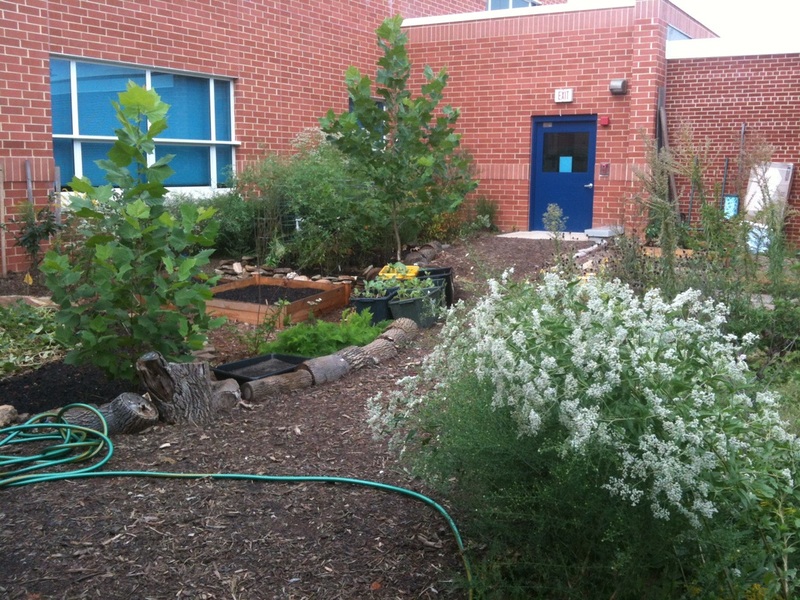 Students from the school's Eco Club, who have worked closely besides Lands and Waters staff on much of the project, also recently installed raised beds (which they'd built) for vegetable gardens in one area of the courtyard. The work is ongoing, with plans to build a circulating stream powered by solar energy (designed by students) and a small-scale indoor composting system to curb food waste at the school and provide rich soil with which to continue plantings. 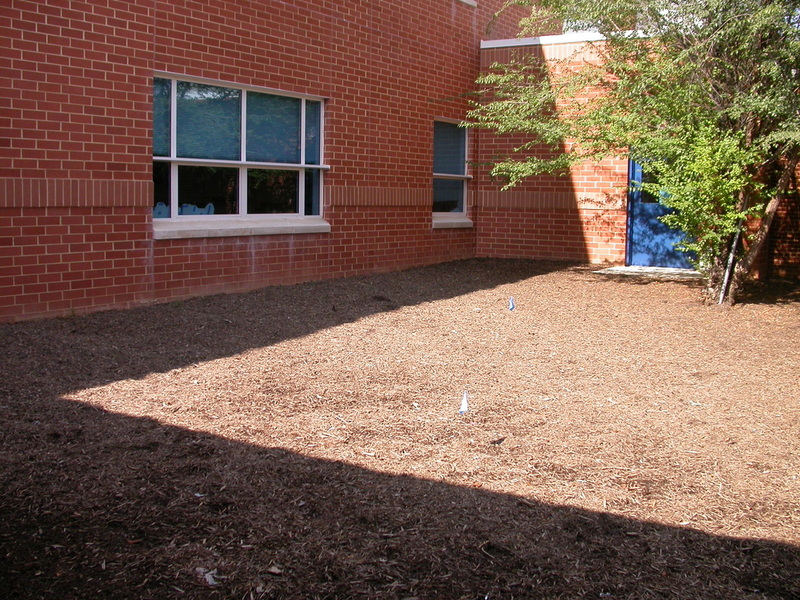 All turf was removed from the courtyard and replaced by a thick layer of mulch prior to the project's start date. 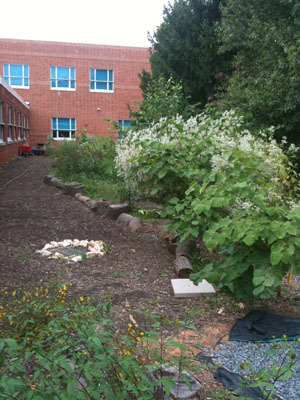 A vegetable garden that includes raised beds built by students has been planted at one end of the courtyard. Looking southeast down the length of the courtyard before the turf was removed. 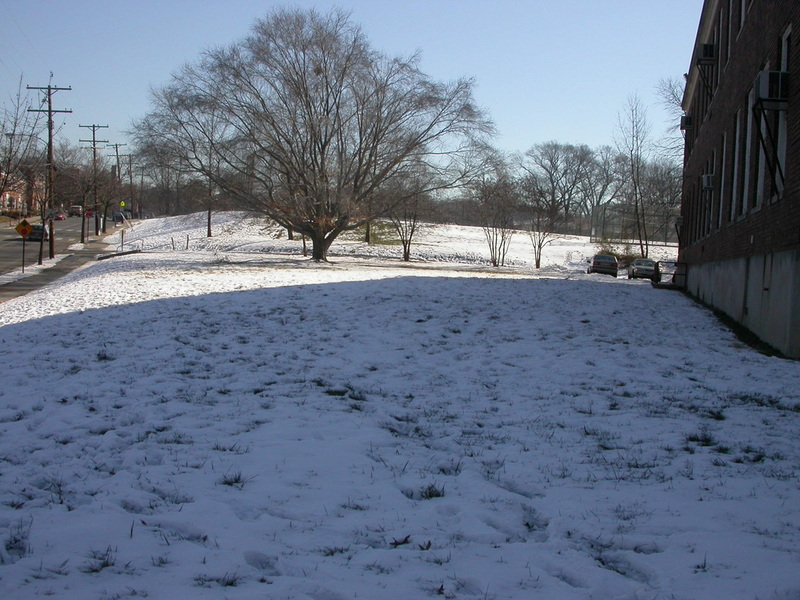 Looking northwest down the length of the courtyard before the turf was removed. Entering the eastern side of the courtyard just as work was beginning. 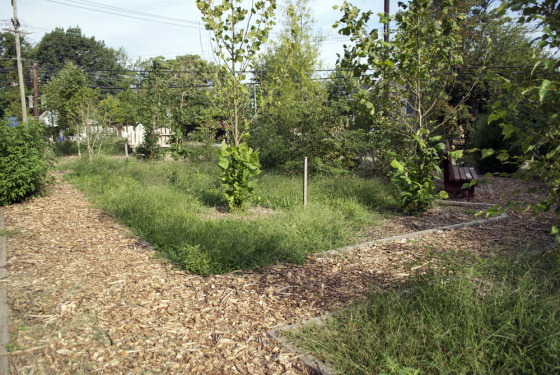 Looking southeast down the length of the courtyard one year after the first planting phase. 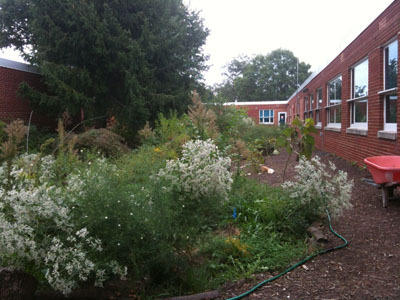 Looking northwest down the length of the courtyard one year after the first planting phase. Entering the eastern side of the courtyard after the first planting phase. 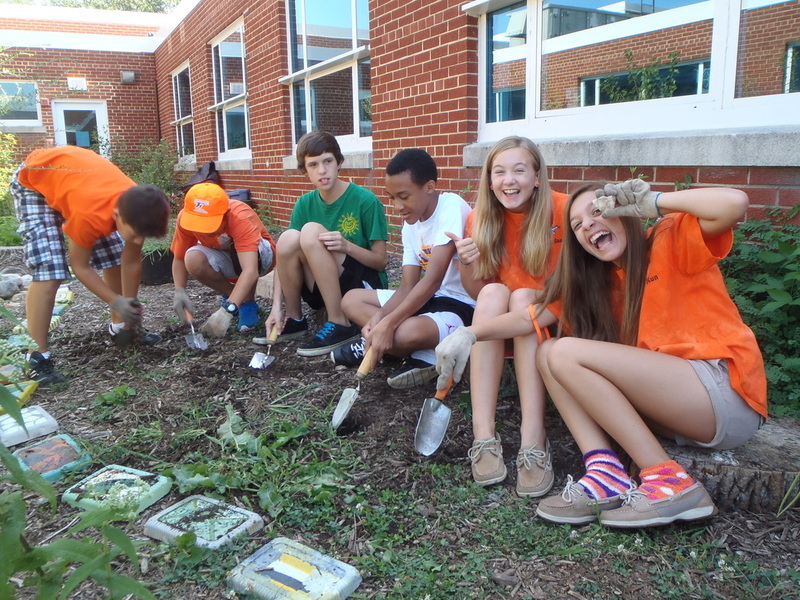 Eco Club students work together after school to remove weeds from a path in the courtyard.